The Centre of Excellence in New Target Discovery (CENTD) takes to thousands of “paulistanos” (from São Paulo city) the exhibition "Bioart is life", which through cell biology and the beauty of these images, have raised feelings such as relief, pain, passion, and energy among many other emotions that human body cells can feel. They are displayed in the street clocks of São Paulo city. Last Tuesday (11), Centd (Centre of Excellence in New Target Discovery) inaugurated its first visual arts show at the Paulista station of the subway line 4 in São Paulo. With enlarged images of cell cultures, the itinerant exhibition "Bioart is Life" aims to provoke a reflection on the richness and peculiarities present in each cell and, from science point of view, can lead the path to the development of new drugs. The exhibition depicts the project developed by Centd, which uses biochemical and molecular biology techniques for the discovery of new molecular targets. The images are always linked to the conscious and unconscious feelings that direct the search, both personal and scientific. The exhibition is an initiative of Centd, a center that is part of the Butantan Institute, in partnership with “ViaQuatro,” the company responsible for the operation and maintenance of the subway Yellow Line 4. Centd is 100% focused on scientific research of new molecular targets, completed one year in 2018 and is a platform created by IB in conjunction with Fapesp and the pharmaceutical GSK. The images were recorded by the CENTD team, who transformed the scientific knowledge contained in each experimental procedure into visual art. "We produce these images within our laboratory as scientific methodology and we use everything that is exposed in order to target the treatment of joint disease and cancer, and this was incorporated into the exhibition. The feelings in the images, were feelings awakened in us and we hope that the public captures this sensation when looking at each image," said Vanessa Zambelli, who carries out the dissemination of Centd's scientific knowledge. For Ana Marisa Tavassi, coordinator of CENTD, the exhibition is "the beauty of science translated into art." "It is through these differences between the cells responsible for various systems that we can find ways to treat diseases that still have no cure. Each cell has a particular beauty, they are different from each other, and they can give us information that leads to the development of new medicines and help solve problems that have not yet been resolved, such as diseases that do not have a cure yet,” said Ana. For Altair Barbosa Gouveia, a user of the subway line 4-Yellow, the exhibition draws attention to its colors and contrasts. The user was also surprised to learn that Butantan has such an advanced research center. "I know Butantan Institute for the animals and poisons, I was surprised to know that Butantan has this research center for new drugs, I was also surprised by the arrangement of the cells, I never imagined they would be like that," said the user who visited the exhibition during the official inauguration last Tuesday. Next to each picture exposed, there is a QR Code that allows users to access information about each picture through the cell phone. 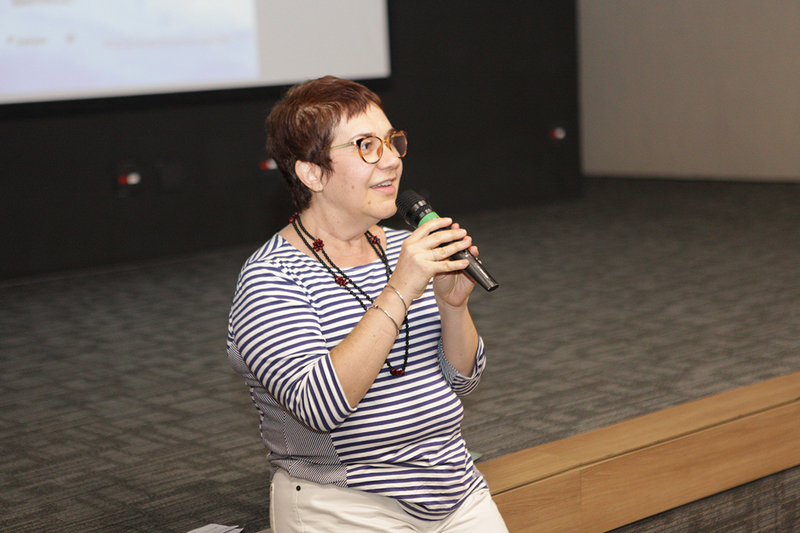 "It is necessary to disseminate this understanding, our expectation is to show the population that in São Paulo, Brazil, there is a Center of Excellence in scientific research that is taking care of these diseases and although it is a scientific methodology, it is a stunning work", said Linda Bernardes, coordinator of the scientific division of new technologies area of Centd. The exhibition is free and will remain at the Paulista Station, next to the escalators, until January 7, followed by the Faria Lima stations (January 7-31) and Higienópolis-Mackenzie (February 1-28). 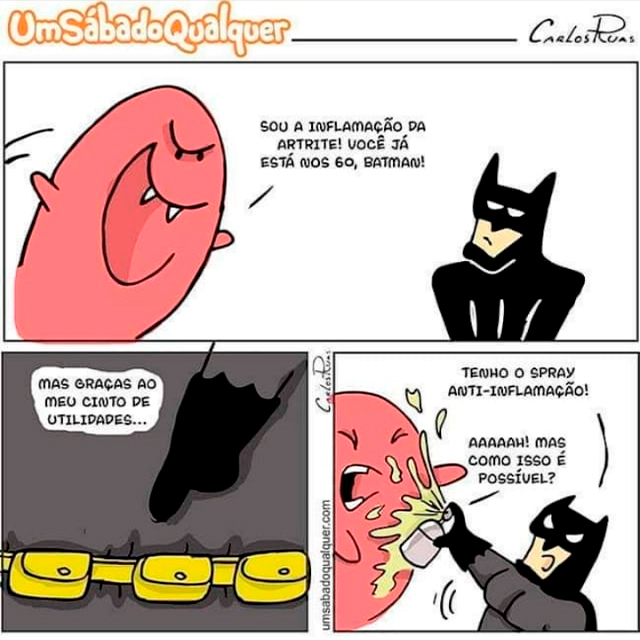 CENTD, in partnership with "Um sábado qualquer" (a comic strip blog created by Carlos Ruas in 2009) had the honor to become a charge in some of Carlos's works. More than teaching and research, universities can generate jobs and innovation. Universities can no longer limit themselves to teaching and research. They need to create benefits for society such as jobs and innovation. This is the vision of Chas Bountra, pro-rector of innovation at the University of Oxford in the UK, and chief scientist at the Structure Genomics Consortium (SGC). Bountra received a delegation from FAPESP on February 13 in Oxford and spoke about initiatives for university innovation, especially in the discovery of new drugs. Having worked in the pharmaceutical industry for 19 years before returning to the university where he was trained, Bountra was vice president and chief biologist at GlaxoSmithKline (GSK). 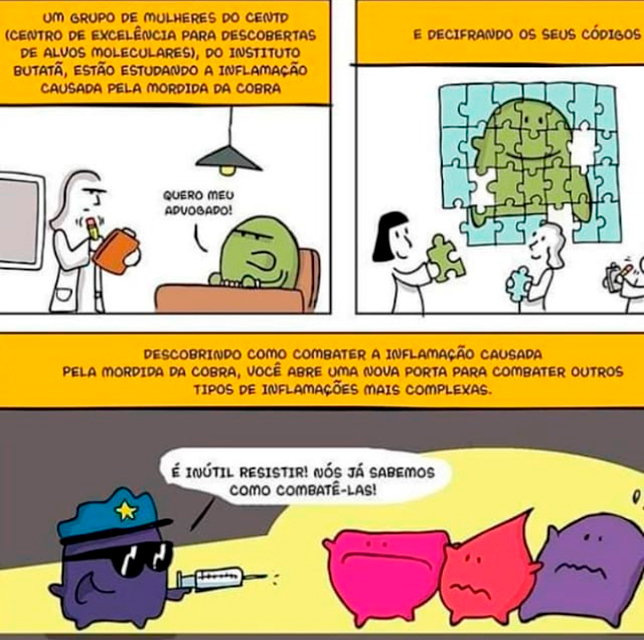 Currently in charge of the SGC – a public-private partnership that brings together more than 400 scientists from universities, pharmaceutical industries and non-profit entities - the researcher highlighted the competence of Brazilian partners based in Centro de Química Medicinal (CQMED) at Unicamp. Created with support from FAPESP through the “Program Apoio à Pesquisa em Parceria para Inovação Tecnológica” (PITE), the CQMED is a unit of the “Empresa Brasileira de Pesquisa e Inovação Industrial” (Embrapii) specialized in the area of biopharmaceuticals and pharmaceuticals. 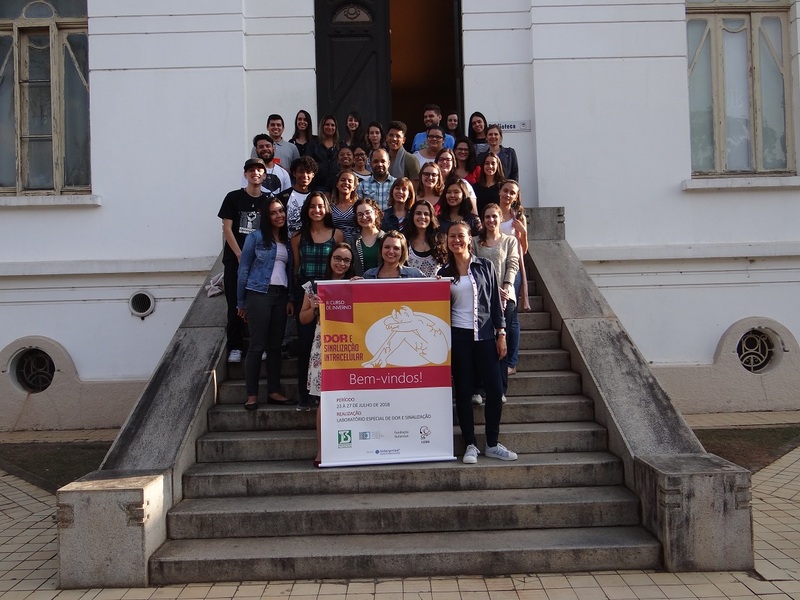 The unit is composed of researchers from the “Centro de Biologia Molecular e Engenharia Genética” e do “Instituto de Biologia” of the State University of Campinas (Unicamp), in partnership with SGC. 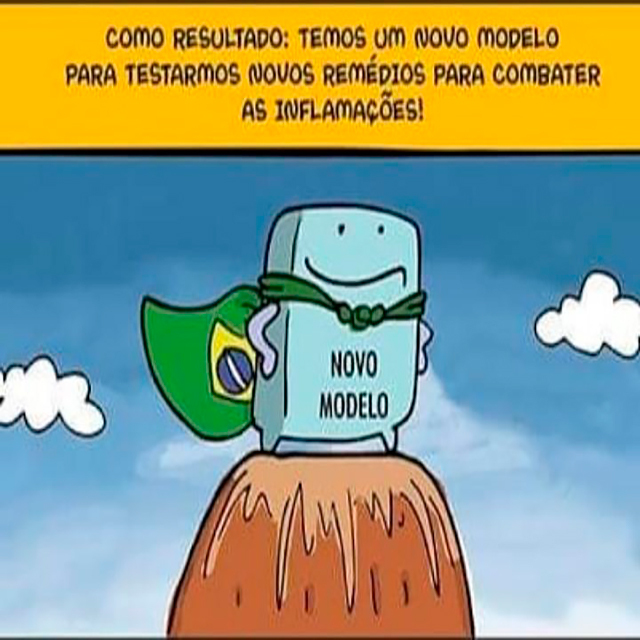 The CQMED is also supported by FAPESP, by Conselho Nacional de Desenvolvimento Científico e Tecnológico (CNPq) and Coordenação de Aperfeiçoamento de Pessoal de Nível Superior (Capes) through the National Institutes of Science and Technology program. "The partnership has been a brilliant success. The Unicamp group is impacting science, producing excellent data and high-quality publications. 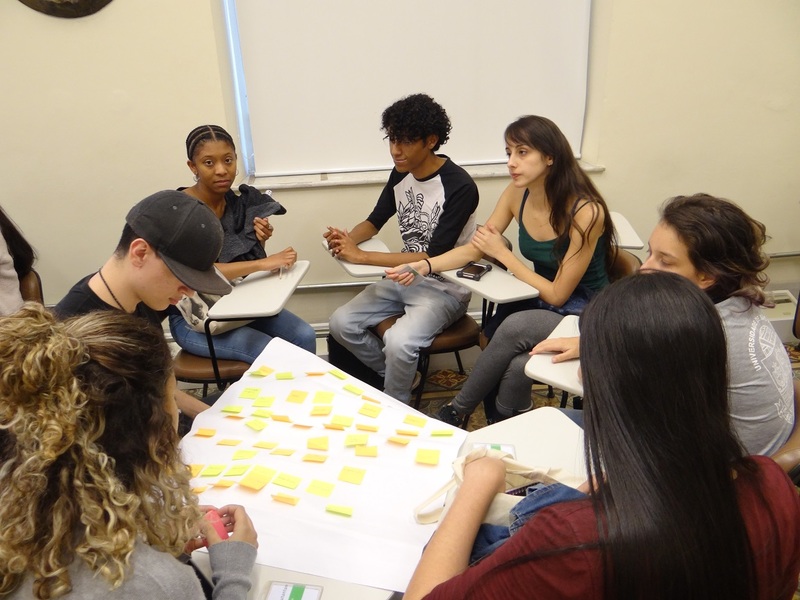 In addition, it is training young researchers and building links with industry," Bountra told Agência FAPESP. He recalled how the discovery of new drugs is risky, slow and costly. Working collaboratively, therefore, is the solution to reduce risks, costs and increase the speed of therapies development. "Patients around the world need new medicines. And they want it soon. There are many diseases for which we need immediate treatment. Rare diseases, mental illnesses and dementias. In some parts of the world we have epidemics of diabetes and cardiovascular diseases. And there is cancer. I want us to strengthen this connection for the benefit of society," said the researcher. 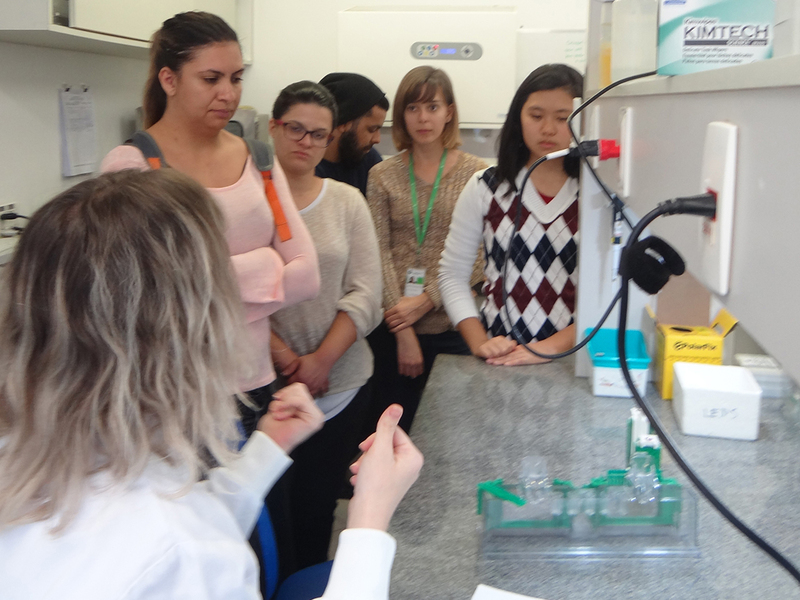 The university visit was led by Wen Hwa Lee, a Brazilian scientist who currently runs the Oxford Martin Program on Affordable Medicines within the SGC (read more at: http://agencia.fapesp.br/29826/). Bountra stated that, more than research and teaching, Oxford University annually creates 25 companies. In the coming years, the expectation is to create 40 new companies per year. "Our focus now is to turn some of them into 1 billion pounds [about $ 5 billion] worth. Also, in the next five years, turn three or four of them worth 10, 20 billion, because that is when they really start to generate jobs”, he said. The researcher inspires himself on Stanford University in the United States, from which Apple and Amazon, the first and second companies in history, worth $ 1 trillion, and Google, "probably the third to achieve this post", he said. "We can imagine the job opportunities just for Stanford students alone in these three companies, the research collaborations and funding that comes from these companies. I would love it if we could create something like this. We want to create new industries and attract existing ones to work here", he said. One of SGC's partners is GSK, whose Stevenage unit also received the FAPESP delegation on the 13th. The visit was led by Paul Life, head of scientific operations, Helen Sneddon, a representative at the company's Center for Excellence in Sustainable (GERSusChem), and David Tough, UK partner of the Centre of Excellence in New Targets Target Discovery (CENTD). GERSusChem is based at the Federal University of São Carlos (UFSCar) and CENTD at the Butantan Institute. 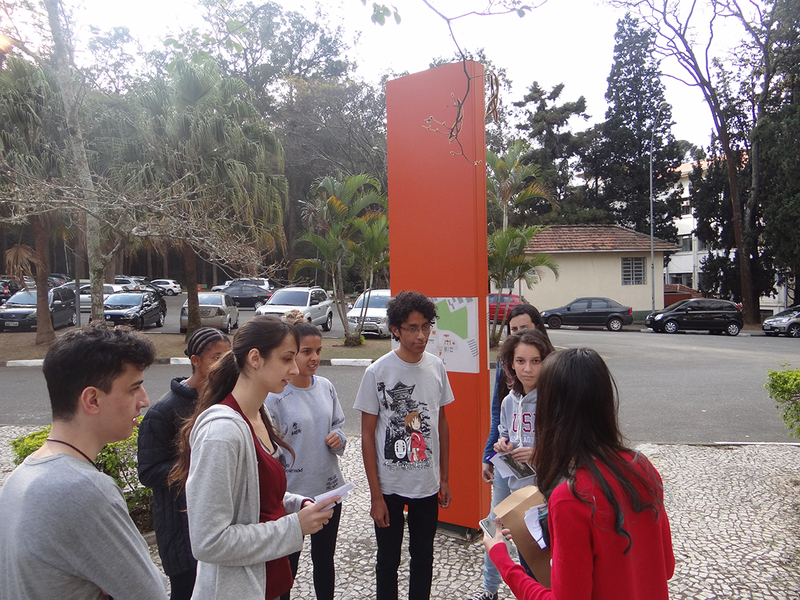 Both have support from FAPESP and GSK, under the “Centros de Pesquisa em Engenharia program” (CPE). "During the four years of partnership we have filed three patents. We are ready to conduct clinical trials and launch new medicines on the market", said Ana Marisa Chudzinski-Tavassi, a researcher at the Butantan Institute and coordinator of CENTD, present at the visit. 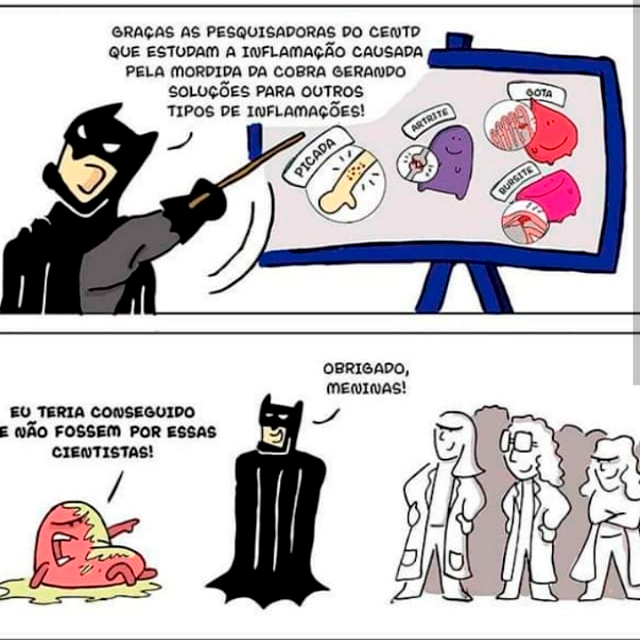 Animal poisons are the field of study of a research center based at the Butantan Institute in São Paulo. But the idea, in this case, is not to find antidotes but to use the poisons themselves to identify molecular targets for diseases and, from this knowledge, develop new compounds that can be used as medicines. The research focuses on immuno-inflammatory diseases, such as osteoarthritis and rheumatoid arthritis, cancer and neurodegenerative diseases, explained Ana Marisa Chudzinski-Tavassi, a researcher at the Butantan Institute and coordinator of the Centro de Excelência para Descoberta de Alvos Moleculares (Centre of Excellence in New Target Discovery, CENTD). "In addition to poisons, we also study toxins isolated from poisons and animal secretions - from Brazilian biodiversity and other countries - to find and validate therapeutic targets that will bring the development of new medicines," said Chudzinski-Tavassi at FAPESP Week London, held on 11 and 12th of February at the Royal Society in London. 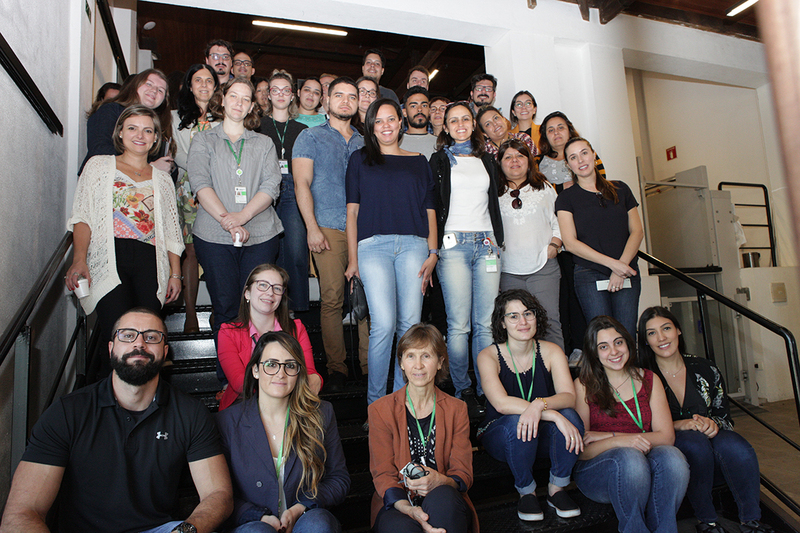 CENTD, part of “Centro de Pesquisa em Engenharia” (CPE) funded by FAPESP and GSK, employs modern and complex molecular and cellular biology techniques, including multiparametric phenotyping, interatomic, proteomic, transcriptomic and bioinformatics assays. "We created a biobank – a collection of biological samples, poisons, isolated fractions, recombinant proteins and synthetic peptides - for maintenance, control and management of the samples used in all CENTD studies. Cellular models related to the diseases studied in CENTD have been established, which are used to evaluate pro-inflammatory, anti-inflammatory, cytotoxic [cell-toxic] or cytoprotective [cell-protecting] activities. 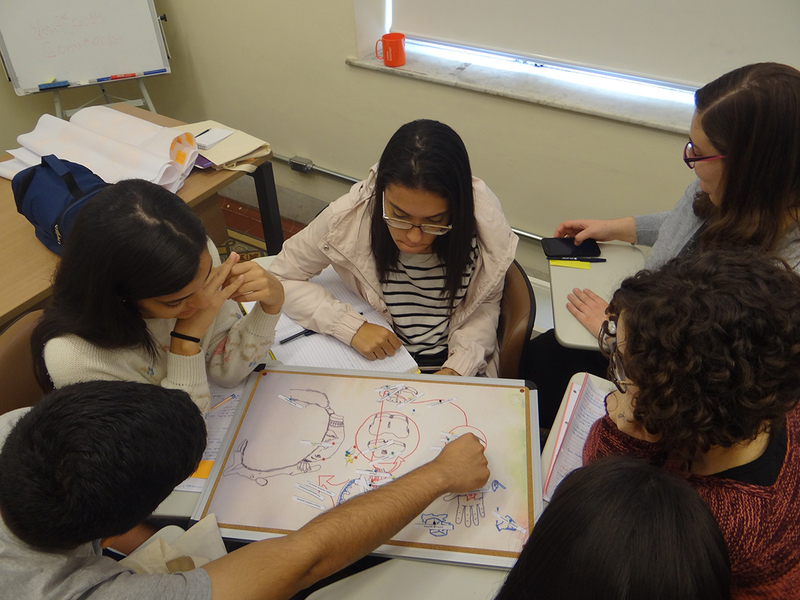 In addition, translational models for studying signaling pathways are adopted aiming to find new molecular targets for the development of innovative drugs", Chudzinski-Tavassi told Agência FAPESP. "After identifying a potential new target, it is necessary to validate it. For this, CENTD uses advanced molecular biology methodologies, such as the CRISPR/Cas9 system, knockout or activation of gene expression in vitro and in vivo tests. So far, 23 complete poisons have been analyzed for pro-inflammatory effects in the six cell models that have been established and standardized", she said. 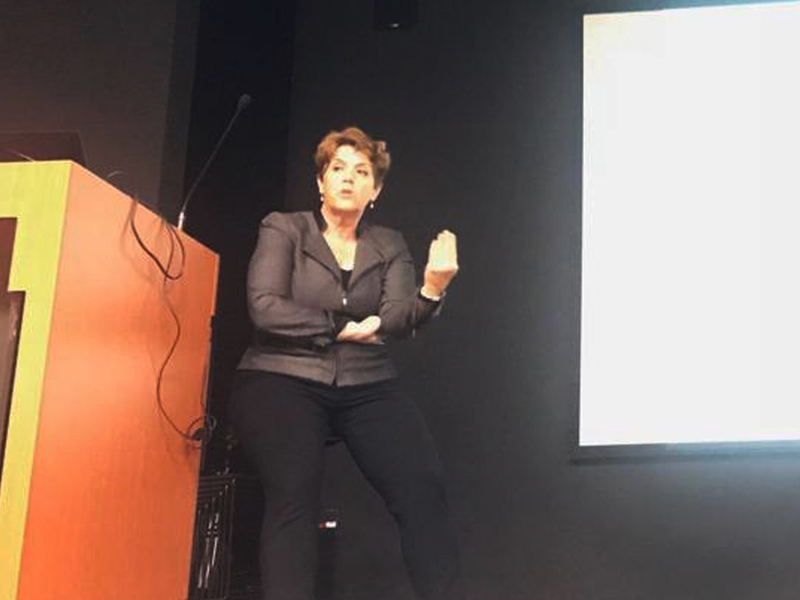 "Given the anti-inflammatory and cytoprotective activities evidenced in different cell types related to arthritic diseases, we suggest several of the peptides that CENTD has in its compound library as tools for targeting degenerative diseases", she said. According to the Center's coordinator, ongoing studies will reveal the pathways from which these effects occur. CENTD researchers, in collaboration with researchers at Albert Einstein Hospital, performed transcriptomic (gene expression study) and proteomics (study of expressed protein) in tissues of healthy donors with osteoarthritis. Through bioinformatics analyzes, they are deciphering genes and proteins differentially expressed in these tissues. "The next step will employ the previously defined peptides as cytoprotectors and anti-inflammatories to seek new molecular targets related to the development of osteoarthritis and improve the treatment," said Chudzinski-Tavassi. Regarding cancer models, in addition to studies on tumor cell cultures, the researchers used a model known as translational to perform transcriptomic studies in spontaneous melanoma tumors on horses from the Butantan Institute farm. "Melanoma tumors were treated with a recombinant protein with antitumor activity already well defined in previous studies of the group, which selectively acts on tumor cells and induces inhibition of proteasome functions followed by cell death through apoptosis mechanisms," said Chudzinski-Tavassi. "Results derived from the transcriptomic analysis in this equine translational model indicate that the antitumor molecule, Amblyomin-X, besides its direct activity on tumor cells, activated the immune system of the animals against the tumor, causing the death of the tumor cells by a mechanism of immunogenic death", she said. According to the researcher, the findings in this translational model confirm previous results of the group, obtained from in vitro and in vivo models, and uncover essential new molecular pathways related to the targets involved in immunogenic death. Inaugurated on July 21, 2017, CENTD follows the rules of the “Programa de Apoio à Pesquisa em Parceria para Inovação Tecnológica” (PITE) and from “Centros de Pesquisa em Engenharia” (CPE), both from FAPESP, to conduct long-term research with companies, enabling the shared generation of knowledge in areas of common interest, with significant potential for practical application. 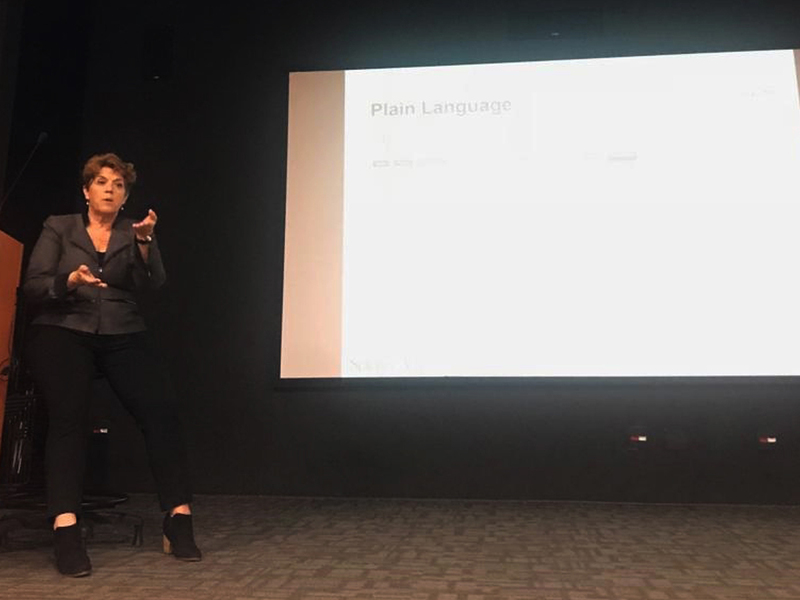 "CENTD has six main lines of research that are deployed in other research lines, involving 35 scientists, as well as students and technicians, with a total of 79 people involved in the project," said Chudzinski-Tavassi. "In order to make the research feasible, high-performance equipment was acquired for high impact assays, revealing important cellular phenomena for the identification of structures responsible for different phenotypes," she said. Among them is the High-Content Screening (HCS), which allows the analysis of molecules of interest quickly and evaluate phenotypes. Using the equipment it is possible, for example, to evaluate changes in the morphology or cell markers, which are critical information for studies of cell survival and activity against various stimuli. "The collaborative partnership established with UK groups at CENTD, supported by FAPESP, GSK and the Butantan Institute, has proven to be an efficient model for the development of high-impact science in conjunction with the discovery of new drugs and through coaching people in this important area of health innovation potential," said Chudzinski-Tavassi. 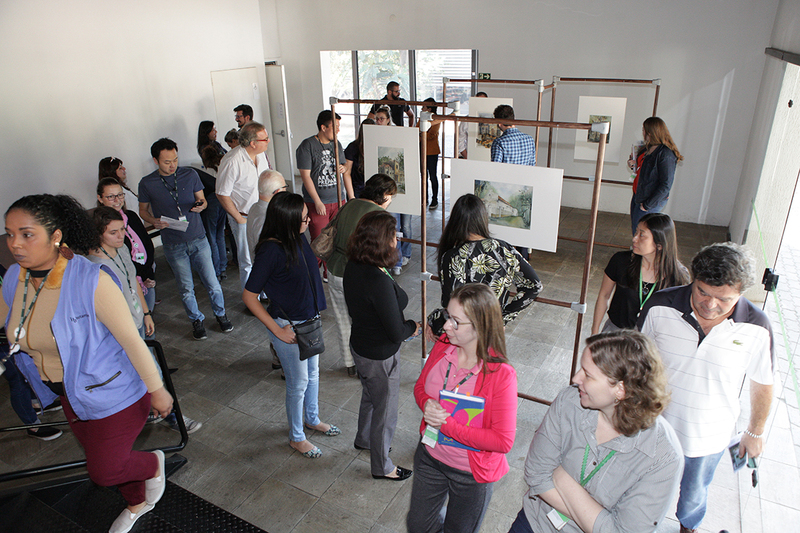 Dozens of Brazilian and UK researchers participate in CENTD. The vice-coordinator of the Center is Isro Gloger, director of the Confidence in Science program at GSK. 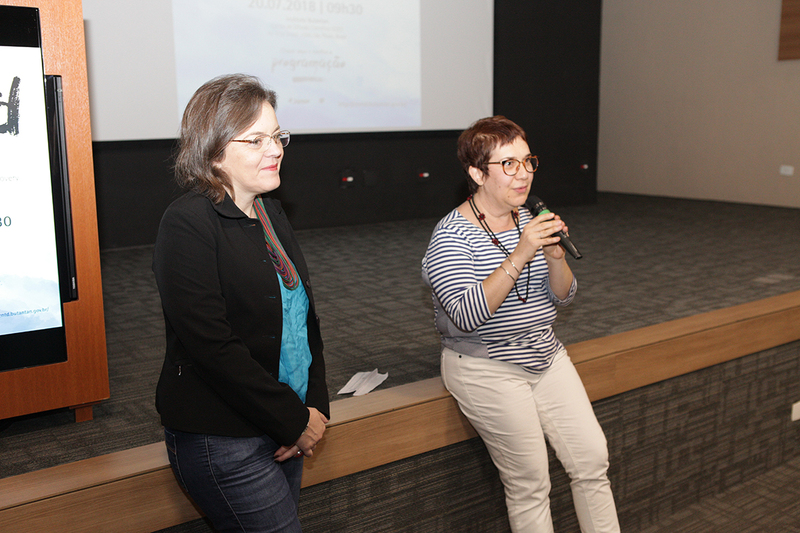 "We have worked in Brazil together with FAPESP to fund innovative projects and initiatives that we work collaboratively with academic researchers. One is in CENTD. 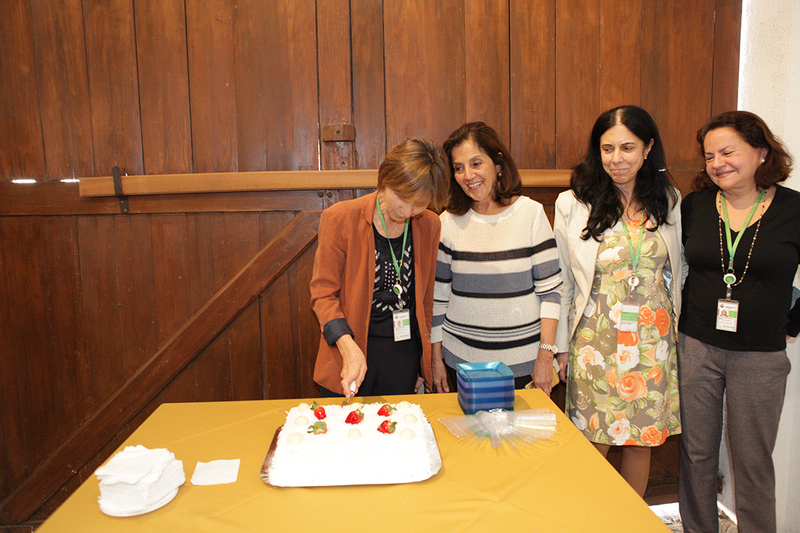 Our relationship with FAPESP is a great example of a public-private partnership that works, "said Gloger, a molecular biologist born in Argentina who has been with GSK for 29 years. 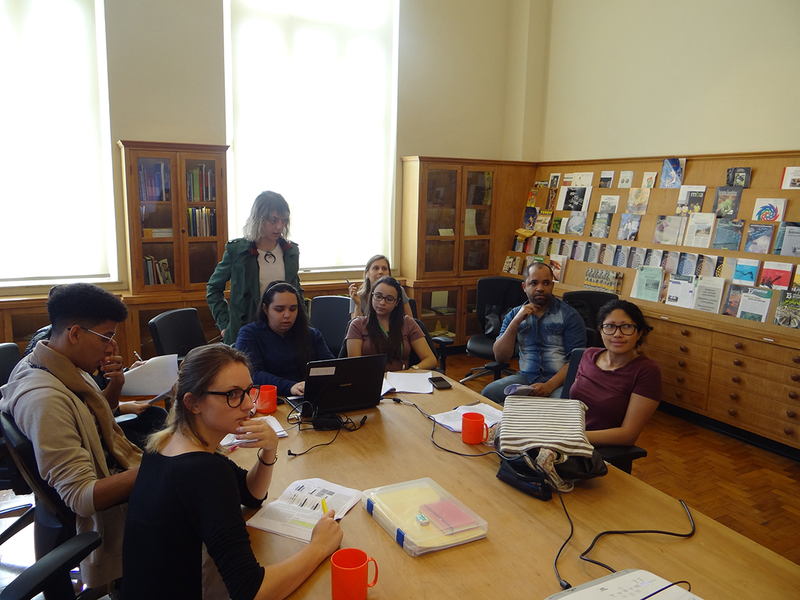 On October 25th and 26th (CENTD received) we received the chief editor of Science Advances journal, Philippa Benson, PhD. 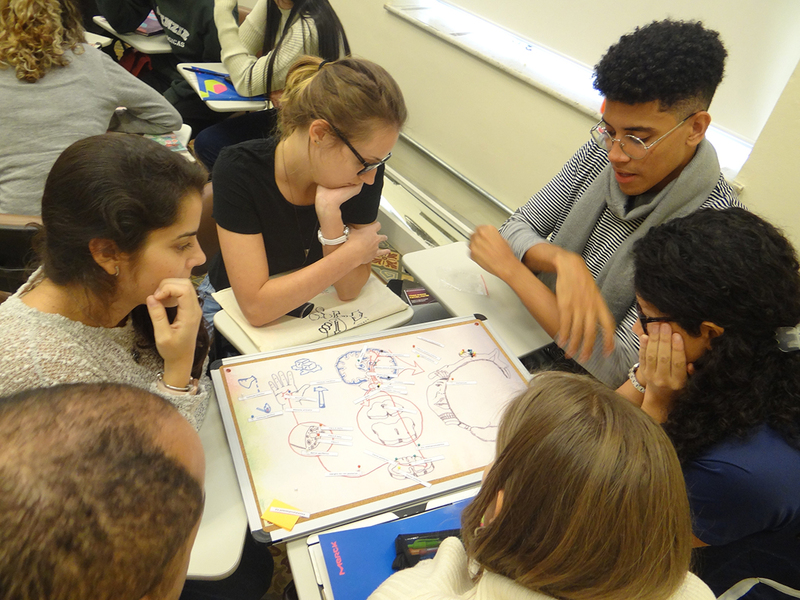 The (illustrious) visit featured a lecture, a workshop and a scientific writing workshop. 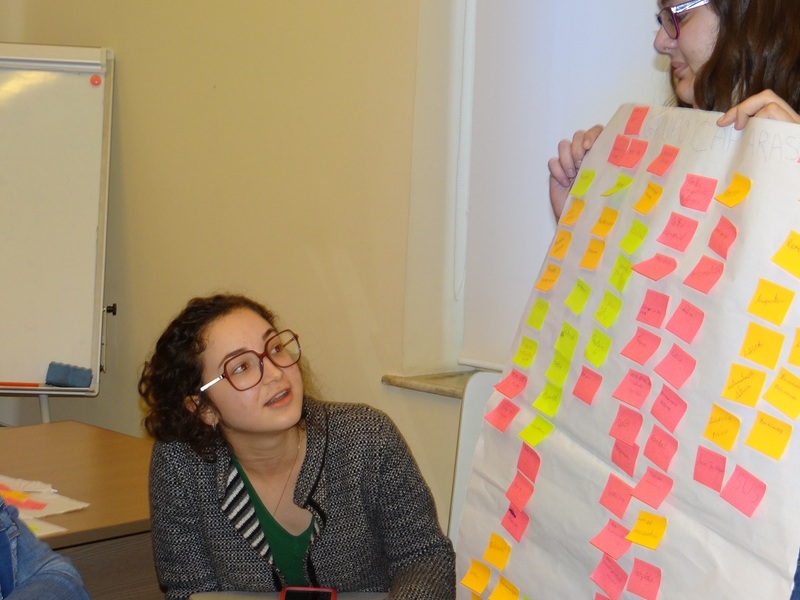 These activities were centered around the main reasons for rejection of articles in high-impact journals and tips to prevent rejection. 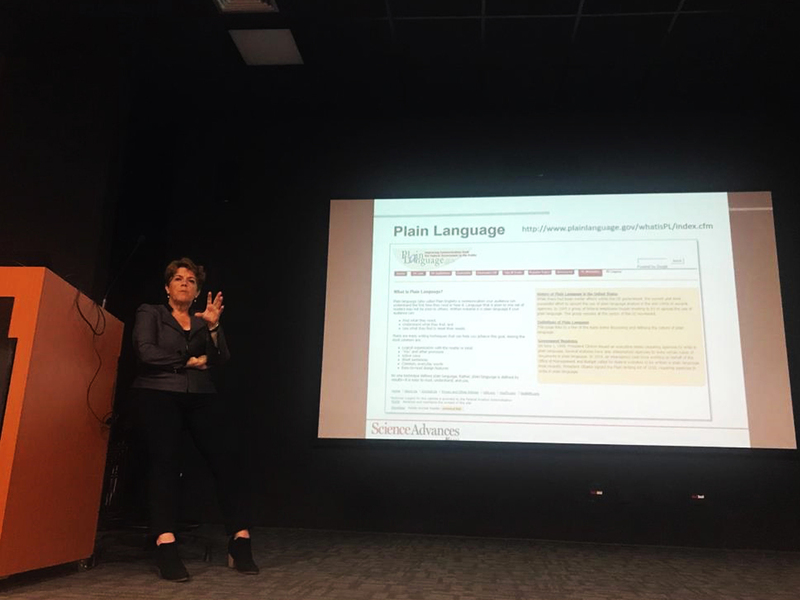 Also, Philippa talked about writing articles for journals like Science, denoting aspects of the publisher routine and what they are most aware of when evaluating the work. 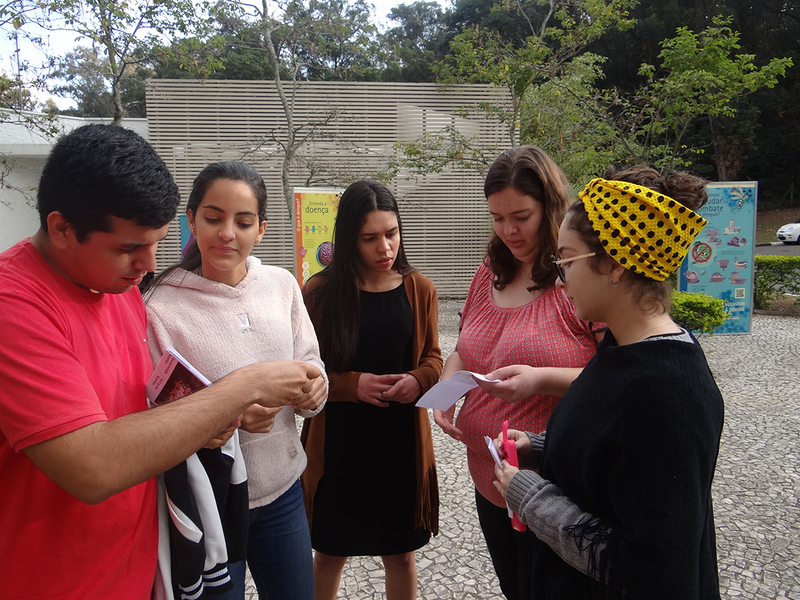 The participants had the opportunity to resolve doubts and discuss scientific production; as well as receive directions about the construction of their scientific articles (in progress), aiming to approach Brazilian authors and promote collaborations to improve the acceptance rates of articles in high-impact journals. 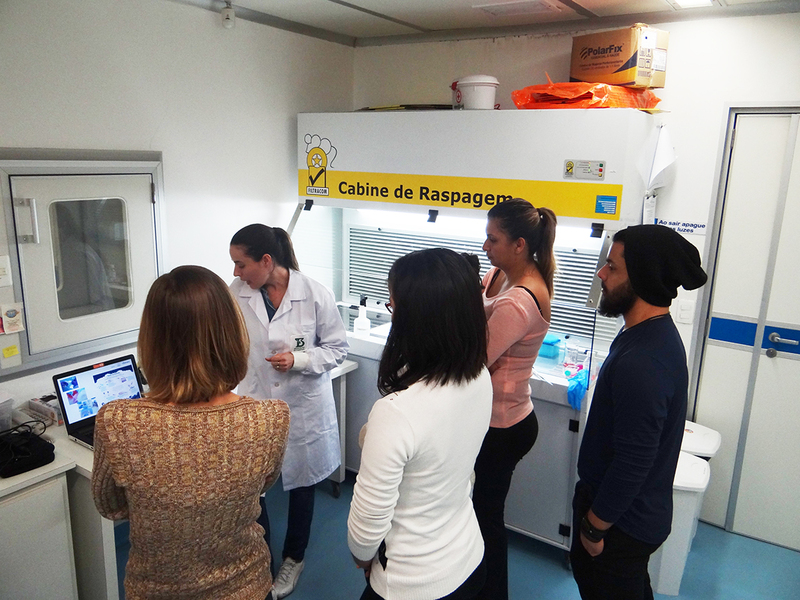 CENTD, in partnership with the Laboratory of Pain and Signaling and the team of Butantan Institute courses held last week the 3rd Course of Pain and Intracellular Signaling. The course lasted a week and covered topics such as epidemiology and pharmacology of pain, development of drugs and use of toxins as tools for the discovery of new analgesics. In a dynamic and relaxed way, the students had theoretical-practical classes, participated in gymkhana and counted on a digital platform for content reinforcement. 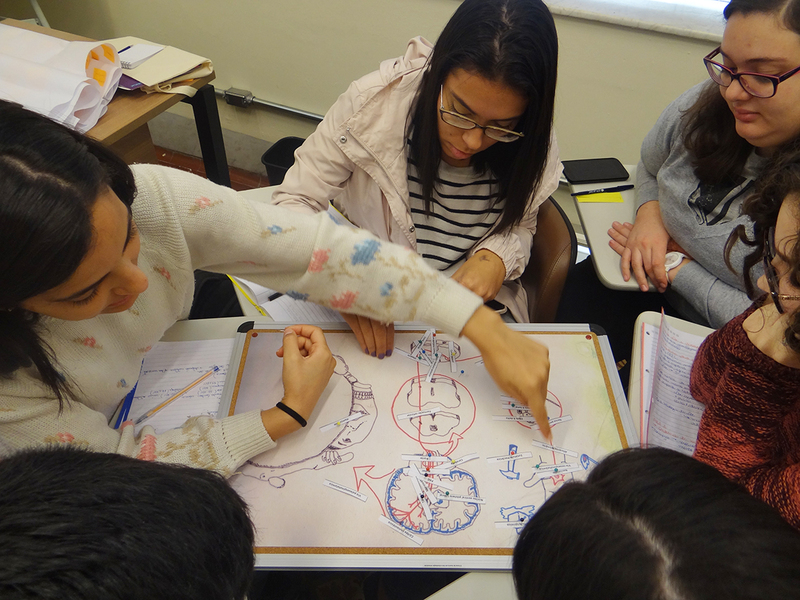 "The idea is to deepen the subject addressed in the universities, to develop the scientific interest in the area of pain and to bring the university students closer to Butantan Institute", comments Vanessa Zambelli, coordinator of the course. 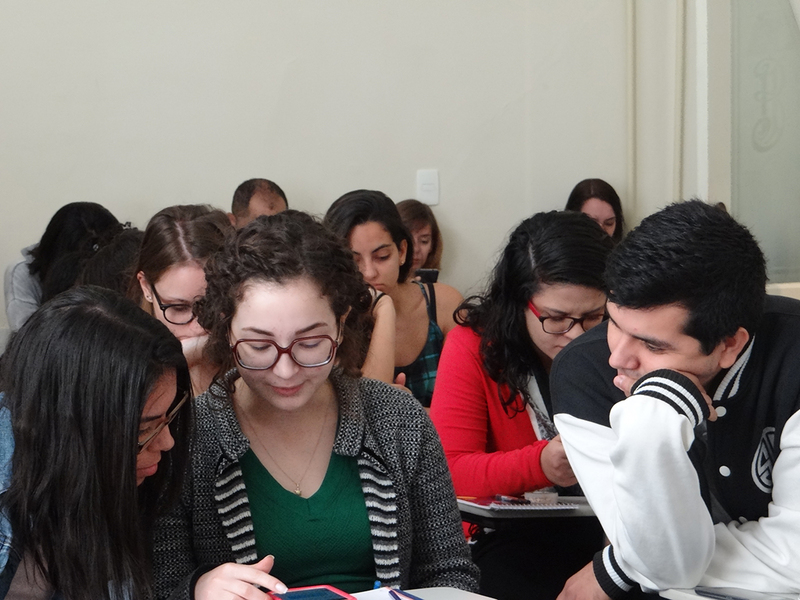 The course had 25 students from several locations such as São Paulo, Bauru, São Carlos, Manaus, Fortaleza and Bahia. For Devlyn Pivoloto, 30, graduated in Physiotherapy and a Pharmacy student, studying pain is complex, but the course paid off. "I'm enjoying the experience, through the interactions and gymkhana, we've been able to learn in a light and easy way," said Devlyn. 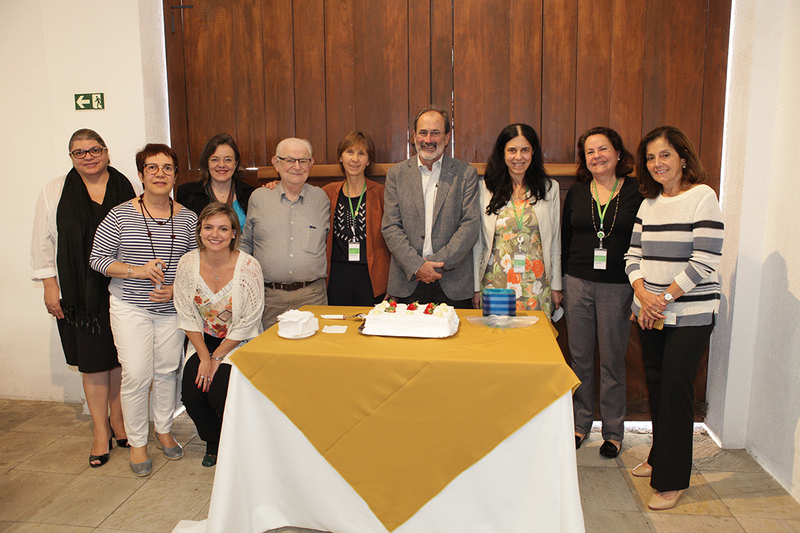 "Today we are celebrating a year of very intense work, committed to the challenge of finding new molecular targets that could produce new drugs," said Ana Marisa Chudzinski-Tavassi, coordinator and principal investigator of the project. 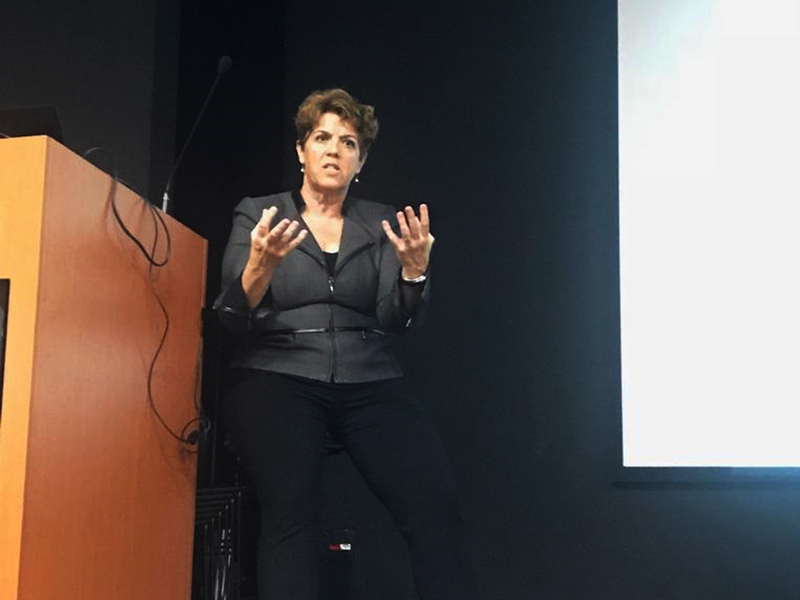 At the opening, Ana Marisa highlighted the current structure available for research, such as state-of-the-art types of equipments that allows the team to discover new uses for poisons and animal secretions. At the beginning the platform began with four people and currently have 80 employees, all trained to operate the technology of the laboratories. Throughout its first year of existence, the platform also carried out courses, workshops, educational projects, specialized labor training (masters, doctoral students and technicians) and publications. The actions aim to broaden the knowledge and perspectives of researchers on the potential of their work, ideas and results. CENTD was inaugurated on July 21, 2017 and seeks to find in the venom of poisonous animals, elements that allow the creation of new drugs for inflammatory diseases such as rheumatoid arthritis, metabolic syndrome and neurodegenerative diseases. For Fernando Queiroz, it is in the hands of young researchers the mission to continue with studies resulting in innovation for the production of new drugs. "Today, working with technology means having scientists working with industry and inside industry," he said. 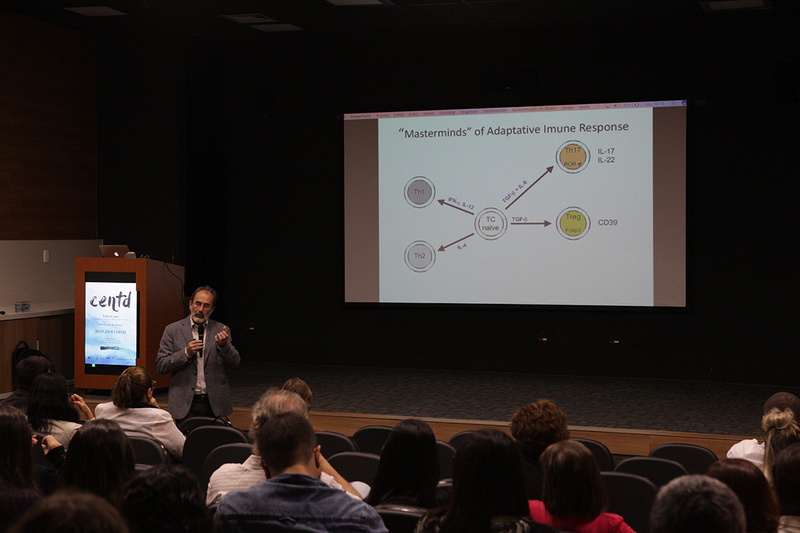 In his lecture "Current and Future Perspectives in Controlling Arthritis," the expert presented the current treatments available for the control of rheumatoid arthritis, inflammatory disease of joints and cartilage. A professional with experience in patents, intellectual property and technology transfer, Ricardo Remer showed how it is possible to think about scientific research strategically. "Rich country is a country that exports knowledge in the form of patent," he said, adding that the challenge is to transform the intellectual property into wealth, that is, to market the knowledge. "If you treat research strategically from the beginning, you will increase the final value of your results," he explained. 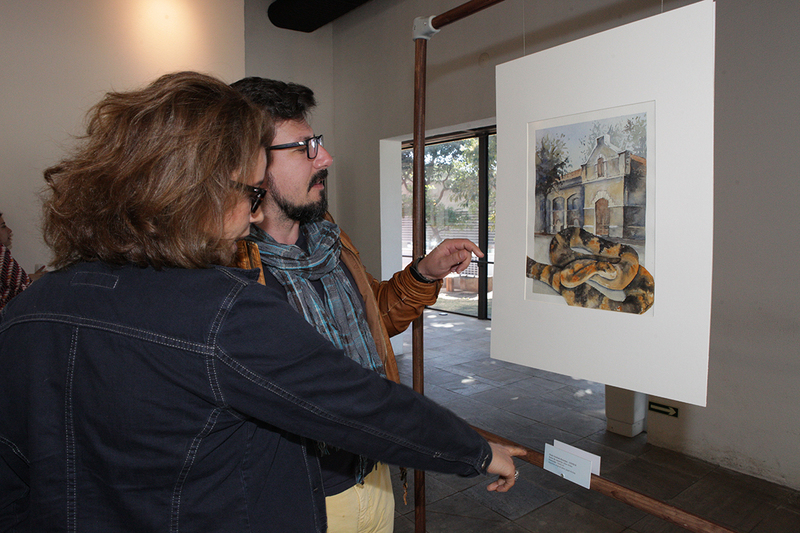 The celebration included the opening of an exhibition of watercolor illustrations by the artist Lilian Arbex. 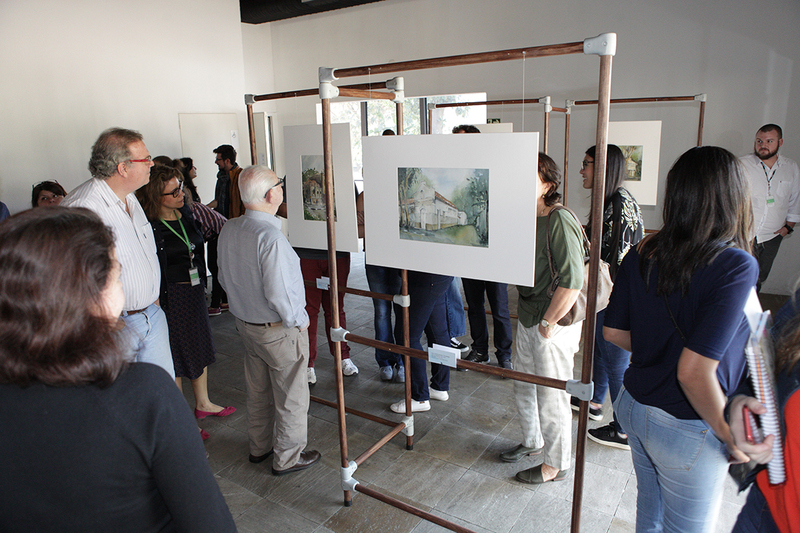 In the pictures, the watercolor artist portrayed some of the iconic buildings of the Butantan Institute, such as the Library, Casa Afrânio de Amaral and the first masonry building of the institution, where the CENTD platform currently stands. The exhibition will be installed in the exhibition space of the CDC, next to Paiol, until August 3 and is open to all. Lilian holds a degree in Pharmacy, Biochemistry and Industrial Design / Visual Programming, has a postgraduate degree in Graphic Design, is responsible for the International Watercolor Society Brazil and was the Director of the Brazilian Association of Watercolor and Art on Paper (ABA). Some of his paintings and engravings belong to private and public collections, such as Pinacoteca do Estado de São Paulo and National Library of Rio de Janeiro, Banco Bradesco, Secretary of Sports of São Paulo, among others. The Workshop aims to assist participants in understanding and to structure a Business Model that allows them to reflect on initiating, expanding or maintaining a scientific / technological research, according to its relevance and impact, for public health and the health market. Encourage researchers to structure a Business Model for the projects they are developing, based on the premises that IBU has defined for this area. 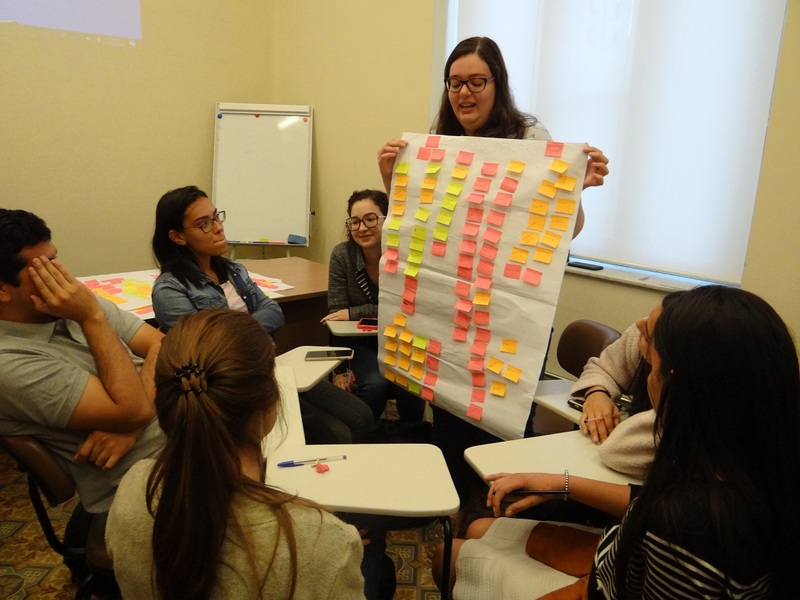 The Butantan Institute, one of the largest research centers in Brazil, and Biominas Brazil announce on Tuesday (3), an important partnership in entrepreneurship education and innovation in the health area. Biominas is a private institution active in the field of innovation and entrepreneurship in the life sciences sector. Through the partnership, Biominas and Butantan, it will be possible to expand the vacancies for researchers, entrepreneurs and professionals in the MBA in Health Innovation Management, already successfully promoted by Butantan in recent years, and recognized as one of the best courses in innovation in the country. At the same time, the partners will develop and offer a wide range of new courses and modules in Distance Learning format through the Butantan online platform, using the expertise and experience of both institutions. Biominas will work with Butantan to disseminate the courses in its extensive network of contacts among the main stakeholders in the health, life sciences and biotechnology sector and in its events and activities. 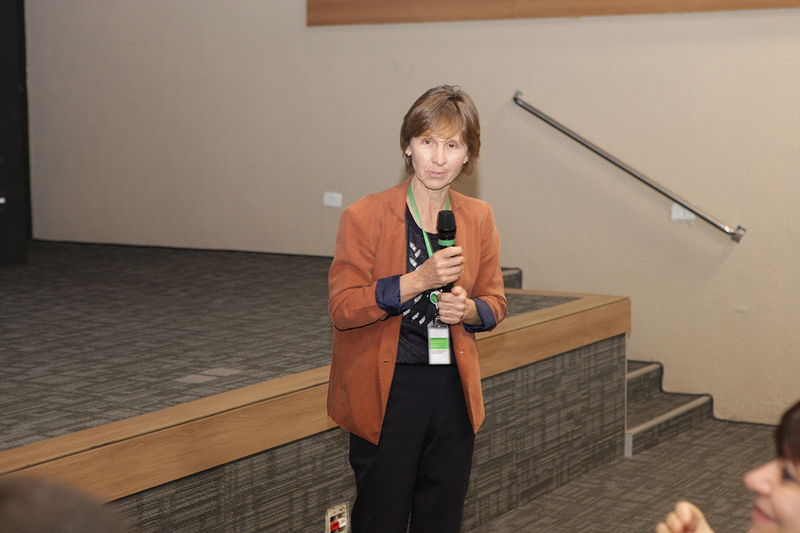 The general coordinator of the MBA, Ana Marisa Chudzinski Tavassi, explains that Biominas has an extensive network of contacts with researchers in the area of innovation and health, contributing to the dissemination and growth of the Butantan course. 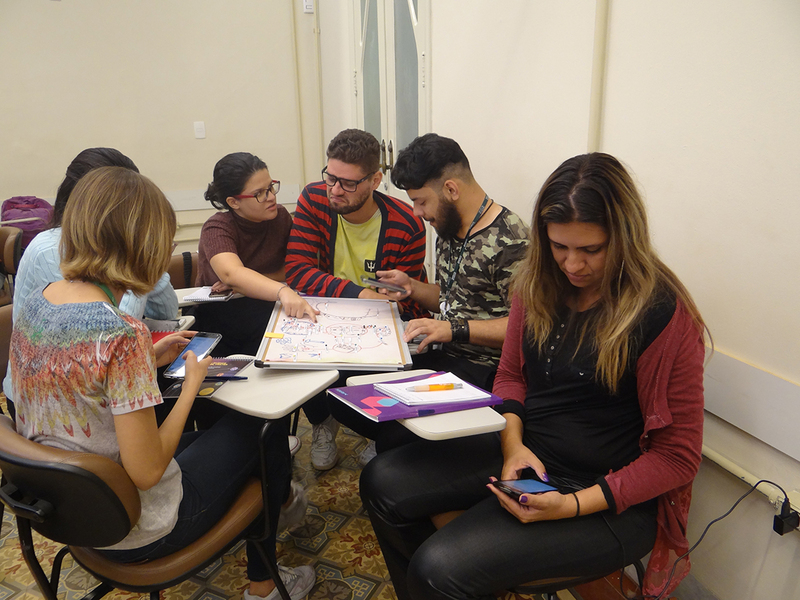 With the dismemberment of the MBA and the availability of classes through the Distance Learning modality, access for those who do not live in São Paulo will be easier. 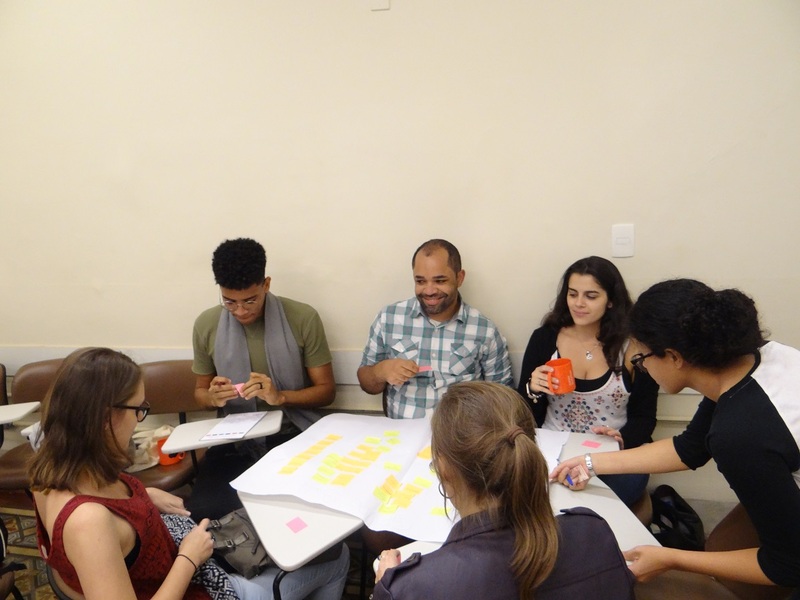 "These online courses can be offered separately and they enter the curriculum as a specialization," said Ana Marisa. Through the initiative, Biominas and Butantan contribute significantly to the dissemination of information, training of human resources and development of health innovation in the country. 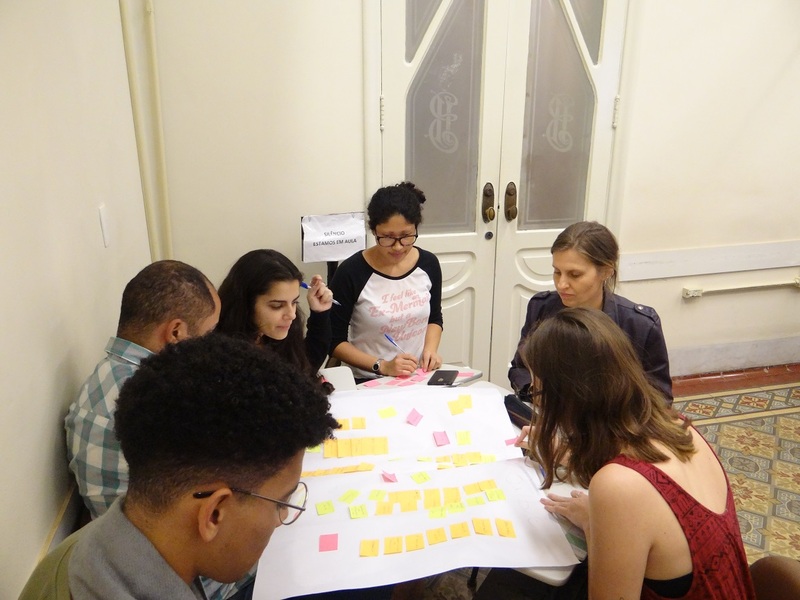 "The fact that Biominas accepted this partnership, for us, was of extreme significance," said Linda Bernardes, educational and Distance Education coordinator for Butantan's MBA. The Butantan MBA has been underway for five years, has trained about 100 professionals and provides full scholarships for senior level employees who work in the health area or who want to work on innovative projects. Although applications for scholarships closed last Friday, the course offers new vacancies whenever new classes are about to open (follow the MBA news on the intranet and through Butantan News). British Minister: Elizabeth Truss; Principal investigators: Denise Tambourgi (vice-coordinator), Ana Maria Chudzinski-Tavassi (coordinator). On April 11, the British Minister Elizabeth Truss and her entourage visited the Butantan Institute. UK's chief Treasury Secretary, Truss was received at the CENTD (Centre of Excellence in New Target Discovery) by the Board, as well as introduced to the operations in the center when visiting the platform! 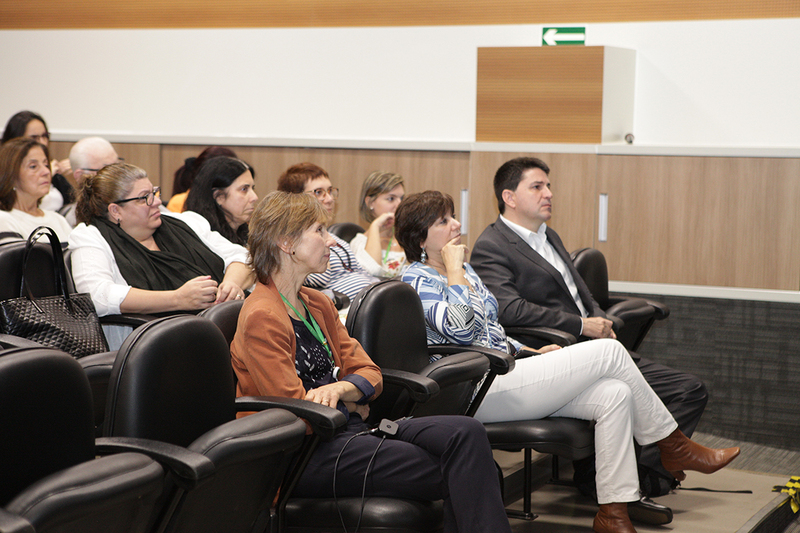 Principal Investigators: Ana Maria Chudzinski-Tavassi (coordinator), Catarina Teixeira, Denise Tambourgi (vice-coordinator), Irina Kerkis, Olga Ibañez, Yara Cury, GSK Brasil Farma President Alexey Kolchin, Executive Manager: Isabel Batista, Scientific Broadcasting: Vanessa Zambelli. The president of GSK Brasil Farma, Alexey Kolchin visited the Centre of Excellence in New Target Discovery (CENTD) on Wednesday (14). During the visit Dr. Kolchin met key researchers and CENTD facilities. The purpose of the visit was to know more about the project developed by CENTD, aiming for closer ties and new partnerships with the Institution. Lecture - "Importance of the patent system"
The president of INPI (National Institute of Industrial Property), Luiz Otávio Pimentel (photo), participated as a lecturer on Wednesday, October 18, of the Executive Training Course for Managers of Health Innovation of the Butantan Institute. 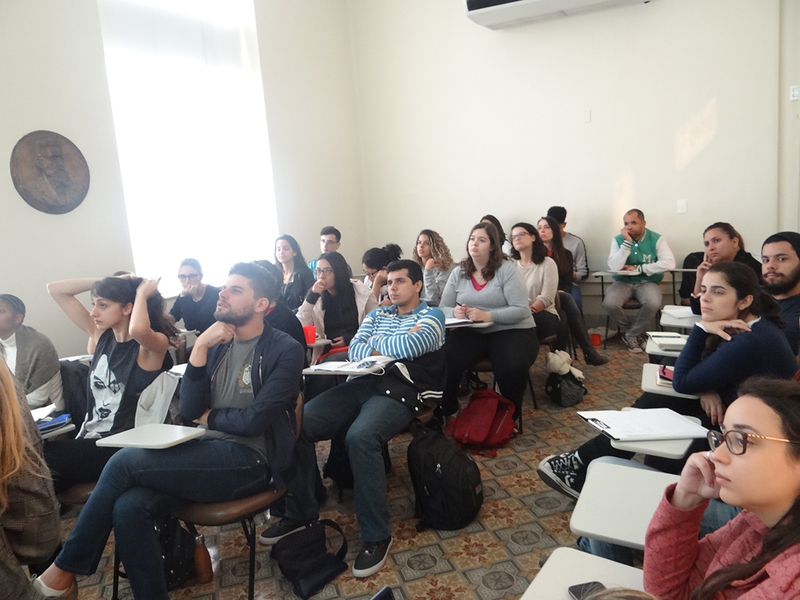 Pimentel presented the INPI, spoke of his management at the head of this institution, discussed with the students the intellectual property system and the patents in the health area. The invitation was extended to the entire Butantan community, which was able to discuss with the guest the current patent system of the country, in addition to asking questions and giving suggestions about the current policy. The Executive Training Course for Managers of Health Innovation of the Butantan Institute is an initiative of the Directorate of Innovation, whose objective is to spread this culture in the Institute, aiming at the developing people prepared to suggest improvements and innovations, together with a set of new visions, procedures and resources that will undoubtedly boost institutional growth. About 180 people were present, among authorities, guests, researchers, employees and collaborators of the Institute and the Butantan Foundation. The panel was composed by Dr. Ana Marisa Chudzinski Tavassi, Coordinator of CENTD; Mr. Carlos Henrique Brito, Scientific Director of FAPESP; Mr. Isro Gloger, Director of GSK's Trust in Science Program; Ms. Joanna Crellin, British Consul General in São Paulo; Mr Wasim Mir, Minister Counselor of United Kingdom Diplomatic Mission; Prof. Dr. Dimas Tadeu Covas, Director of Butantan Institute; and Dr. David Uip, Health Secretary of State of São Paulo. The goal of CENTD is to identify molecular targets and signaling pathways involved in inflammatory diseases such as osteoarthritis, rheumatoid arthritis, cancer and neurodegenerative diseases, through poisons, toxins, and molecules isolated from various animal secretions, as well as their peptides byproducts. The partnership between Butantan, GSK and FAPESP were signed at the end of 2015 for a period of five years. The coordination of CENTD is by Ana Marisa Chudzinski-Tavassi, a researcher of the Butantan Institute, which counts with the collaboration of several scientists, comprising six main lines of research. The Centre of Excellence in partnership with GSK follows the rules of the FAPESP Program to Support Research in Partnership for Technological Innovation (PITE) and the Engineering Research Centers supported by the Foundation, to carry out long-term research with companies, enabling the shared generation of knowledge in areas of common interest, with a significant potential for results application.